corporate videos, television commercials and video production tips, news and analysis from toast tv: LadyLucks ‘enjoy the moment’ commercial is live! Our new LadyLucks commercial aired yesterday. You might have seen it last night on ITV2, while watching the Shawshank Redemption. We wanted to capture all the fun of mobile gambling in a new and exciting way. We put together this tongue in cheek piece using creative work from Us London. 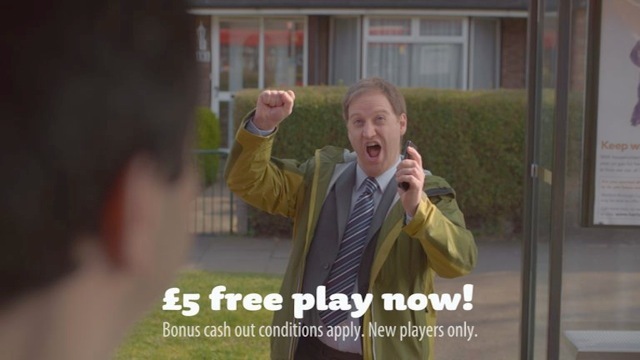 The 30-second film shows a string of everyday people celebrating their betting victories in true slow-mo style. The still above depicts a man who discovers that he's won his bet and enjoys the moment as a bus opens its doors to him and then closes without him boarding.